With lab testing, we are not diagnosing disease, but rather looking for the underlying root causes of why you feel tired, worn out, run down, or lacking energy in general. The labs can be mailed out anywhere in the US and they can be completed by you the same week right at home. And that translates to better compliance, faster results, and happier healthier clients. So, after you get your test kit, all you have to do is follow the simple instructions, place it in the prepaid envelope and mail it to the lab. All at-home lab tests take 3-4 weeks to get the results back after you've mailed them in. You will then receive a simple to follow Personalized Wellness Plan from the ND I am getting my IHP certification through based on your unique results and symptoms. Best test for gut issues. According to GPL Labs, The Organic Acids Test (OAT) provides an accurate evaluation of intestinal yeast and bacteria. Abnormally high levels of these microorganisms can cause or worsen behavior disorders, hyperactivity, movement disorders, fatigue and immune function. Many people with chronic illnesses and neurological disorders often excrete several abnormal organic acids. This state-of-the-art lab specializes in analyzing small droplets of blood that you place on a card and mail in. Your blood will then be tested against 94 of the most common foods, and provide you with a personalized analysis of which foods you are mildly, moderating, and highly reactive to. This is the simplest and most straight forward way to get the results you need to begin making positive health changes in your life (or your children’s). Losing weight has less to do with the amount of calories you eat or how much you exercise, and everything to do with hormone balance, cortisol levels, and metabolism. By looking at the hidden inflammatory triggers and hormone imbalances we can discover what is holding you back from the body you want and the results you deserve. By examining your mineral imbalances the HTMA looks at the deeper underlying root causes, which are keeping you from feeling well again. This lab also helps you discover your heavy metal toxicity and mineral levels. Because of its price and comprehensive assessment, the HTMA is a great choice for getting started in Functional Medicine lab testing. You can complete the lab right at home. GI Screens are applicable to all patients, especially those with chronic illness and digestive problems. Ova & parasites x 3 (Trichrome stain) plus antigens to Giardia lamblia, Cryptosporidium parvum, and Helicobacter pylori. Occult blood. Visual and automated identification of bacteria, including, but not limited to: Citrobacter, Enterobacter, Enterococcus, Escherichia, Klebsiella, Proteus, and Pseudomonas. Visual and automated identification of yeast, including, but not limited to Candida. One of the simplest ways to improve your overall health, wellness, weight loss, and anti-aging goals is to maintain optimal Vitamin D levels all year round. Adequate Vitamin D has been linked to anti-cancer, immunity, and weight loss (plus hundreds of other benefits). Low Vitamin D3 levels can keep you from losing weight. This is a simple test to make sure your levels are where they should be! 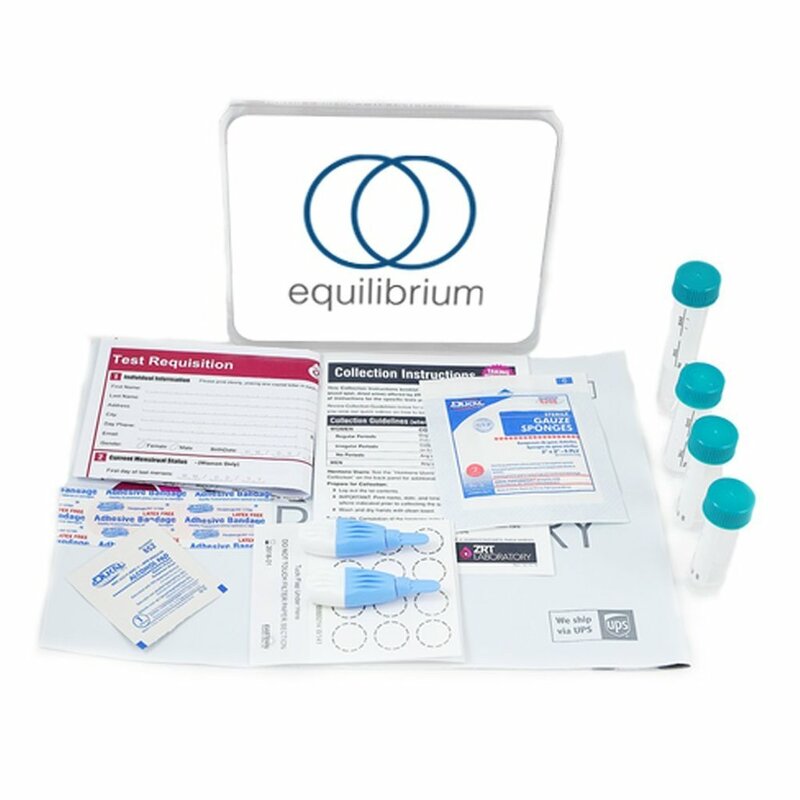 This test is the gold standard for testing usable hormone levels from a Functional Medicine perspective. We are looking for the underlying root causes of why you feel tired, worn out, run down, or lacking energy in general. Useful for estrogen/progesterone ratio, thyroid problems, and clients having difficulty losing weight or improving their mood. A fantastic place to start when looking at how your hormones, nervous system, and stress are effecting your mind and body. This particular lab allows you to look at your current 24-hour circadian rhythm and how you are producing cortisol (energy) throughout the day. Often times with people suffering from irregular sleep patterns their normal circadian rhythm has become disturbed. And as a result they are producing too much cortisol in the evening when their body should be winding down, instead of revving up. This is a fantastic place to start when looking at how your hormones, nervous system, and stress are effecting your mind and body. This is one of the most comprehensive labs to look deep into how your thyroid is functioning. It goes far beyond your typical TSH and T3 testing and begins to reveal what may be actually causing your low thyroid issues and symptoms. As part of this comprehensive Thyroid lab test we are also looking at your thyroid nutrient levels such as iodine and selenium - If these 2 test low, you may not have the raw material needed for your thyroid to function optionally. The “Big 5” Labs includes the top 5 lab tests. With this test you will get the HTMA, OAT, Omega-3, Food Sensitivity, Thyroid + Adrenal + Hormone & a 60-minute call with a Holistic Health Coach to review your results and create personalized recommendations. This lab is ideal for someone really looking to find the root cause of imbalance or someone who wants to make sure all their health numbers are in line. 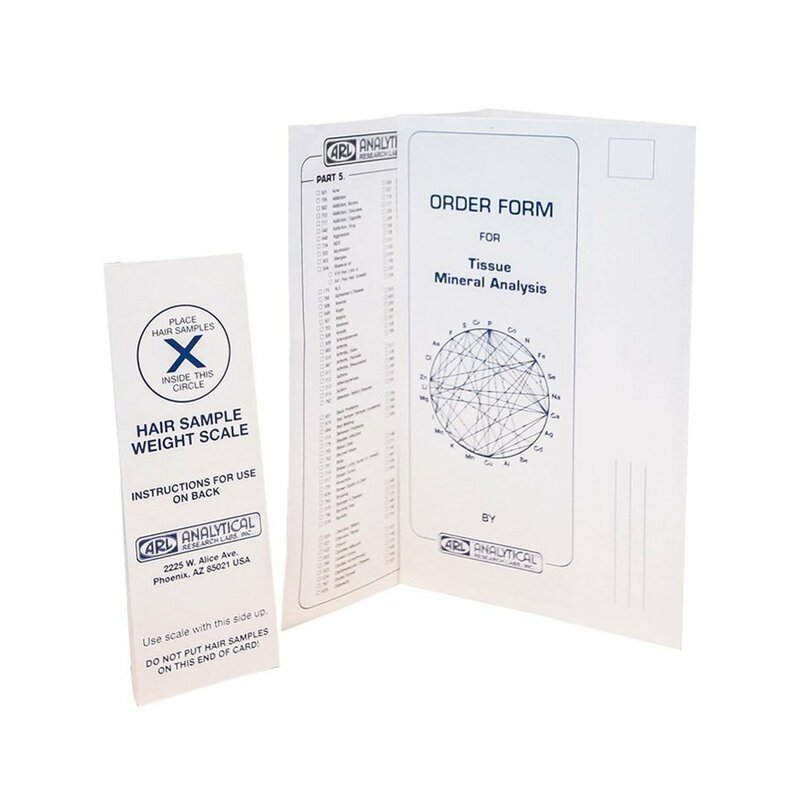 Because exposure to environmental pollutants has been linked to many chronic diseases, we are offering this toxicity screening test, a toxic non-metal chemical profile that screens for the presence of 172 different toxic chemicals - many of which have been shown to cause cancer. These include organophosphate pesticides, phthalates, benzene, xylene, vinyl chloride, pyrethroid insecticides, acrylamide, perchlorate, diphenyl phosphate, ethylene oxide, acrylonitrile, and more, as well as TG. Nutrition Genome generates a custom genetic Strengths and Weaknesses section, custom DNA grocery list, Foods, Toxins and Additives to Avoid, genetically generated Recommended Blood Work and analyzes genes in 8 sections: Digestion, Methylation, Hormones, Neurotransmitters and Mental Health, Inflammation and Antioxidant Protection, Detoxification, DNA Protection, Damage and Repair and Cardiovascular Health and Athletic Performance. Includes a 50 page report not he exact diet, lifestyle and supplements best for you! Learn more here or order below.